Alaska is a U.S. state in the northwest extremity of North America, just across the Bering Strait from Asia. The Canadian province of British Columbia and territory of Yukon border the state to the east, its most extreme western part is Attu Island, and it has a maritime border with Russia to the west across the Bering Strait. To the north are the Chukchi and Beaufort seas—southern parts of the Arctic Ocean. The Pacific Ocean lies to the south and southwest. It is the largest state in the United States by area and the seventh largest subnational division in the world. In addition, it is the 3rd least populous and the most sparsely populated of the 50 United States; nevertheless, it is by far the most populous territory located mostly north of the 60th parallel in North America: its population—estimated at 738,432 by the United States Census Bureau in 2015— is more than quadruple the combined populations of Northern Canada and Greenland. Approximately half of Alaska's residents live within the Anchorage metropolitan area. Alaska's economy is dominated by the fishing, natural gas, and oil industries, resources which it has in abundance. Military bases and tourism are also a significant part of the economy. Jean-Philippe Auclair was a Canadian freeskiier. He was born in Sainte-Foy, Quebec. JP helped Salomon launch the 1080 ski in 1998 and in 2002, along with fellow freeskier Tanner Hall founded Armada skis, a freestyle-only skiing company and remained a member of their "Pro Team" since Nov. 11, 2002. His sponsors included Armada skis, Orage Clothing, Giro Helmets, Level Gloves, JoyStick Poles, D-Structure, Mount Seymour, Stoneham, and SnowParkNZ. Auclair was known for various styles of facial hair, from a long goatee in the mid 90s to a Magnum, P.I. mustache over the turn of the millennium. Auclair also took roles in many ski movies, including the 2012 release of Sherpas Cinema's All.I.Can. Aisén Province is one of four provinces of the Chilean region of Aisen (XI). Its capital is Puerto Aisén. Matthew Steven LeBlanc is an American actor, comedian and television host. He received international recognition for his portrayal of dim-witted, yet well-intentioned womaniser Joey Tribbiani on the NBC sitcom Friends, which ran from 1994 to 2004. For his work on Friends, LeBlanc received three Emmy Award nominations. LeBlanc has also starred as a fictionalized version of himself in the BBC/Showtime comedy series Episodes (2011–2017), for which he won a Golden Globe Award and received four additional Emmy Award nominations. Since 2016, LeBlanc has hosted the BBC series Top Gear. He has played Adam Burns in the CBS sitcom Man with a Plan since 2016. Idrissa Akuna Elba, commonly known as Idris Elba, is an English actor, producer, musician and DJ, known for playing drug trafficker Stringer Bell on the HBO series The Wire, DCI John Luther on the BBC One series Luther and Nelson Mandela in the biographical film Mandela: Long Walk to Freedom (2013). He has been nominated four times for a Golden Globe Award for Best Actor – Miniseries or Television Film, winning one and was nominated five times for a Primetime Emmy Award. Russell Joseph Howard is an English comedian, television presenter, radio presenter and actor, best known for his TV shows Russell Howard's Good News and The Russell Howard Hour and his appearances on the topical panel TV show Mock the Week. He won "Best Compère" at the 2006 Chortle Awards and was nominated for an if.comedy award for his 2006 Edinburgh Festival Fringe show. Howard cited comedians Lee Evans, Richard Pryor and Frank Skinner as influences. Olga Kostiantinivna Kurylenko is a French actress and model. Lauren Cohan is an American actress and model who has dual citizenship in the United States and the United Kingdom. She is known for her role as Maggie Greene in the horror television series The Walking Dead (2011–2018). Her other notable TV roles are as Bela Talbot in the fantasy-horror series Supernatural (2007–2008), Rose in the supernatural series The Vampire Diaries (2010–2012) and Vivian McArthur Volkoff in the action comedy series Chuck (2011). Her film appearances include the comedy Van Wilder: The Rise of Taj (2006), the psychological thriller horror The Boy (2016), the superhero film Batman v Superman: Dawn of Justice (2016), and the biographical drama All Eyez on Me (2017). 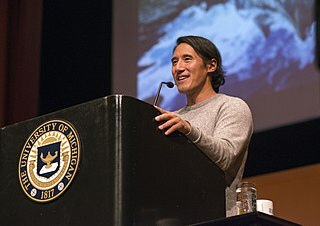 Jimmy Chin is an Academy Award winning American professional climber, mountaineer, skier, photographer, and film director. Sylvain Saudan is an extreme skier, dubbed "skier of the impossible." He is noted for skiing down large and steep mountains, including those in the Himalayas. In 2007 he survived a helicopter crash in Kashmir. Kílian Jornet Burgada is a professional sky runner, trail runner, ski mountaineer and long-distance runner. Sky Tonia Ferreira is an American singer, songwriter, model, and actress. As a teenager, Ferreira began uploading videos on Myspace of herself singing songs she had written, which led to her discovery by producers Bloodshy & Avant and an eventual recording contract with Parlophone in 2009. She released her first extended play, As If!, in 2011, which combined elements of electropop and dance music. Ferreira's second extended play Ghost (2012), however, incorporated pop with more stripped-down song structures and featured collaborations with Jon Brion and Shirley Manson, as well as the critically acclaimed track "Everything Is Embarrassing", which she composed with Dev Hynes. Rita Sahatçiu Ora is a British singer, songwriter and actress. She rose to prominence in February 2012 when she featured on DJ Fresh's single "Hot Right Now", which reached number one in the UK. Her debut studio album, Ora, released in August 2012, debuted at number one in the United Kingdom. The album contained the UK number-one singles "R.I.P." and "How We Do (Party)". Ora was the artist with the most number-one singles on the UK Singles Chart in 2012, with three consecutive singles reaching the top position. Adam Douglas Driver is an American actor. 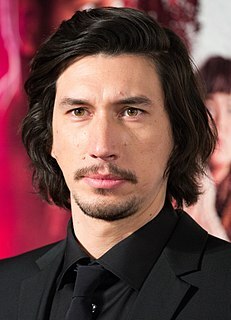 He rose to prominence in the supporting role of Adam Sackler in the HBO comedy-drama series Girls (2012–2017), for which he received three consecutive nominations for the Primetime Emmy Award for Outstanding Supporting Actor in a Comedy Series. He made his Broadway debut in Mrs. Warren's Profession in 2010. In 2011, he returned to Broadway in Man and Boy and made his feature film debut in J. Edgar. Poor Boyz Productions is a North American entertainment company which specializes on Freeskiing, Wind surfing and Standup paddleboarding films. The company was formed in 1994 by Johnny Decesare and is headquartered in Redondo Beach, California. In 2012 Poor Boyz began producing freeskiing videos in association with Red Bull Media House. James Geoffrey Ian Norton is an English actor. He is best known for roles in the British TV series Happy Valley, Grantchester, War & Peace and McMafia. For his role as ex-convict Tommy Lee Royce in Happy Valley, Norton was nominated for the British Academy Television Award for Best Supporting Actor in 2015. Norton was educated at the University of Cambridge, where he read theology and performed in student theatre productions. Mohammed Emwazi was a British Arab believed to be the person seen in several videos produced by the Islamic extremist group ISIL showing the beheadings of a number of captives in 2014 and 2015. A group of his hostages nicknamed him "John" since he was part of a four-person terrorist cell with English accents whom they called "The Beatles"; the press later began calling him "Jihadi John". Andreas Hugo Hoelgebaum Pereira is a professional footballer who plays as a midfielder for English Premier League club Manchester United and the Brazil national team. ↑ "Andreas Fransson - obituary - Telegraph". telegraph.co.uk. Retrieved 20 September 2015. ↑ "Auclair, Fransson Confirmed Dead | POWDER Magazine". m.powder.com. Retrieved 20 September 2015. ↑ "Auclair, Fransson Confirmed Dead". Powder Magazine. 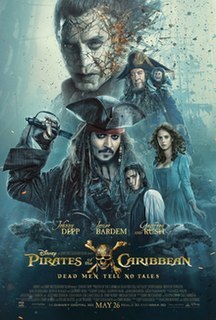 30 September 2014. Retrieved 30 September 2014.